Home » Financial News » Attention Frosh! Getting Financial Aid? Don’t use it! TORONTO, ON, August 30, 2016 – Frosh week is here! 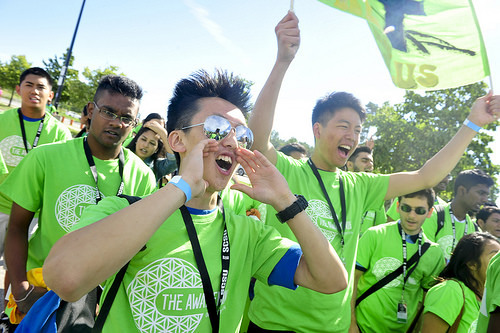 University and college students across Canada are getting ready to have the time of their lives on campus before school starts. Although Frosh week is all fun and games, what isn’t fun is a mountain of student debt after graduation. “I understand it can be very tempting to use all of the cash you receive from your student loan however you do not have to. Just because you receive a loan for $20,000 doesn’t mean you have to blow it all,” says Jeffrey Schwartz, executive director, Consolidated Credit Counseling Services of Canada. “Instead of treating your loan money as free money to do whatever you want with it, you can take a frugal approach and spend only on an as needed basis,” says Schwartz. According to Stats Can the average undergraduate tuition was $6,191 (for 2015-2016 school year) and prior to that it was $5,998 for 2014-2015. Now not all tuition fees are created equal; undergraduates in Newfoundland and Labrador ($2,660) as well as Quebec ($2,799) paid the lowest fees in Canada however Ontarians ($7,868), Saskatchewanians ($6,885) and Nova Scotians ($6,817) paid the highest tuition fees last year. When undergraduates have to pay high tuition fees year after year, they will need a large loan to help them cover the costs. Understand your damage. Your student loan isn’t free money. You have to pay it back one day and interest will be tacked on. So understand where you stand and create an affordable payment plan for your debt management. Throw some coin on it. You could save yourself tons of interest by making regular payments to your student loan while you’re in school. If you are short on funds, you can consider getting a part time job to help you save money to put on your loan. By the time you graduate, you’ll be ahead of your class in more ways than one! Don’t stop at one. Pay more than your required monthly payment to slay your debt. When you pay above and beyond your regular bill payments – your loan will shrink by leaps and bounds. At this rate, you’ll be student loan debt free in no time! Learn to share. Get a roommate to reduce the cost of your rent. Living on campus can be expensive. Instead, consider finding a rental close to school. It will cost less too. The extra money you save can be used to help you pay for your school supplies. Cut it out! When you are a student, cutting back on some of the fine luxuries in your life is a part of your lifestyle. To save money, you can make your meals instead of buying it; take public transit or car pool with your classmates to save on gas. Don’t put it on your tab. Resist the urge to be the life of the party by buying drinks for everyone and anyone you meet at the campus pub. Your student loan money is for school, it is not meant to grow your social circle!